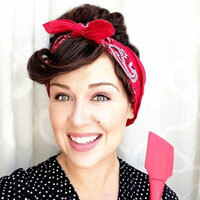 Guest Post: Hockey-Mom turned Baker Babe! Arty: The first thing that comes to mind when I think about Sandy is her beautiful sparkly eyes. Seriously, if you ever get a chance to meet her just bask in her eyes for a moment. Sandy is the type of person who immediately makes you feel warm and fuzzy. Part of the fuzziness is possibly due to the fact that she offered me some of the tastiest truffles at a point of starvation at CookieCon that not only tasted heavenly, but helped fuel me until dinner. Who would have thought the ultimate Hockey Mom would become a Cookier? I sure didn’t! My youngest son Ryan was playing Ice hockey in Fresno, CA, and living with a billet family. I wanted to do something special for them and made a tray of gourmet chocolate covered strawberries. I brought it to a game and presented it to them. Other parents saw this and asked me to do something similar. And my little business, “Goodies by Sandy”, began. I slowly started adding more items to my repertoire, and one day a sweet friend asked me to do sugar cookies. I had never heard of “royal icing”…and what in the world was “meringue powder?” I became a frantic fanatic web searcher and stumbled upon Karen’s Cookies, which was amazing! I ordered, asked, created, burned, threw away and started over so many times! I then found that if I added a bit of this and a pinch of that, my recipe did what I wanted – I found it, my sugar cookie! Luckily, I had a built-in target audience – my weekly bingo group. I was allowed to sell cookies while I played bingo. It was a great way to test out what did and didn’t work and what people liked and didn’t. My cookies back then sure weren’t too pretty, but they always tasted good. I began trying lots of recipes and watching videos. I talked to other local cookiers (many that I met through a local competition) who even got together a few times to talk about business and share ideas. I shared my cookies with friends and started to have a small following on FB. 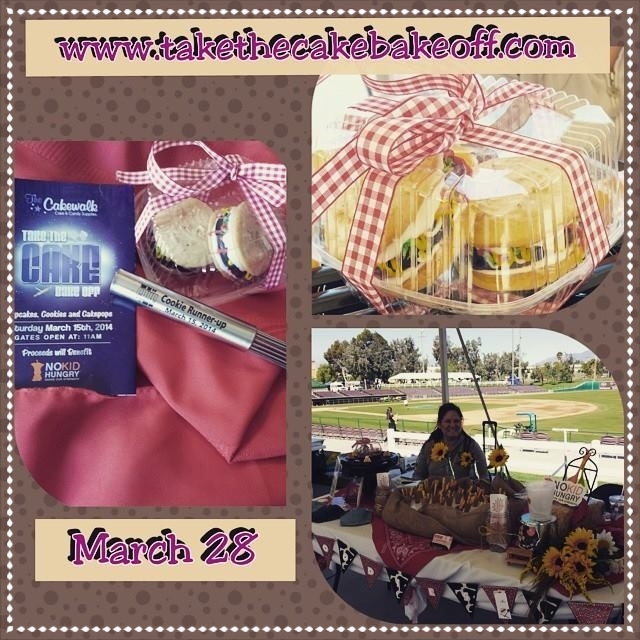 Cindi from “Flour and Faith Bakery” shared information about CookieCon – WHAT?? – I needed that! I attended my first one and overload happened. I was not prepared, both mentally and financially, lol! I had the most amazing time, but realized I needed to figure out what I wanted to do with my business. After the 1st CookieCon, I knew that I wanted to improve my skills but I also wanted to give back. I started baking for charity. 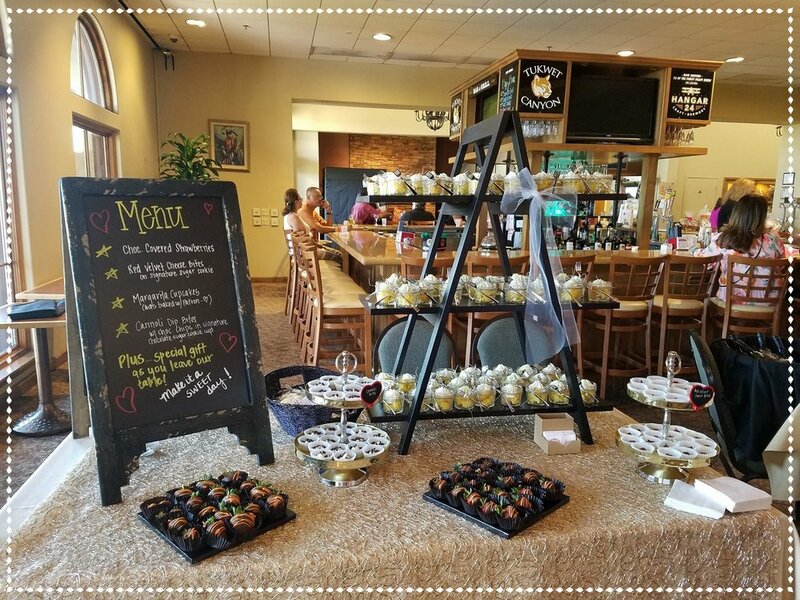 I went back to my roots, incorporated chocolate covered strawberries, and added that element in all “goodies” that I created. Now I make chocolate covered strawberry cookies (similar to chocolate chip cookies), chocolate covered strawberry truffles, custom decorated sugar cookies that look and taste like chocolate covered strawberries, chocolate covered strawberry cupcakes and I always offer gourmet chocolate covered strawberries. I am passionately working with charities close to my heart – most of them cancer related, as I am a uterine cancer survivor. I participate in an annual wine event as the dessert provider for The Ronald McDonald House; as the dessert provider for The Childhood Cancer Foundation of Southern California; sit on the Board of Directors of The Beloved Foundation (a local organization whose mission is to ease the burden of families who are struggling financially as a result of caring for a loved one with terminal cancer); sit on the Board of Directors of my family’s charity in Colorado, “Joy’s Kitchen” (a food rescue and food bank) which honors my mother who passed from cancer. I enter competitions, just to make sure that I stay sharp and with it (also I am a competitive person – lol)! 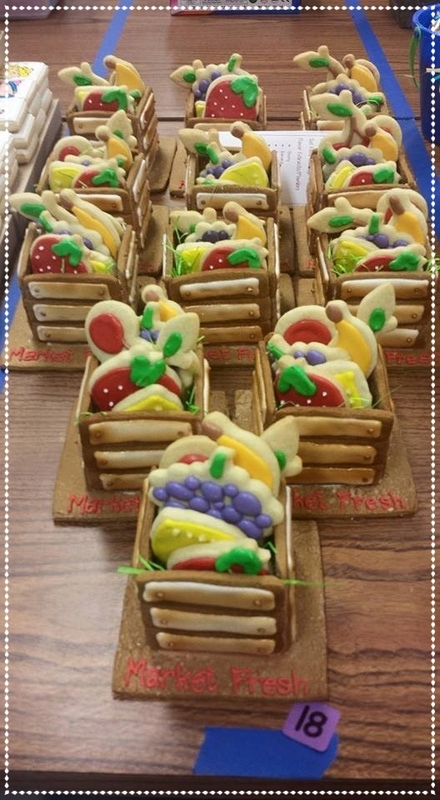 In our local Cakewalk (the local supply store) competition, I placed 2nd the first time I competed in cookies; I placed 1st in the second competition and won overall (over cakes, cake pops and cookies). I even met Chef Charity, one of my idols in the sugar world! When she came to my booth and asked for more of all of my cookies (I did a fruit stand theme with all sugar cookies tasting like their fruit) I was so honored! 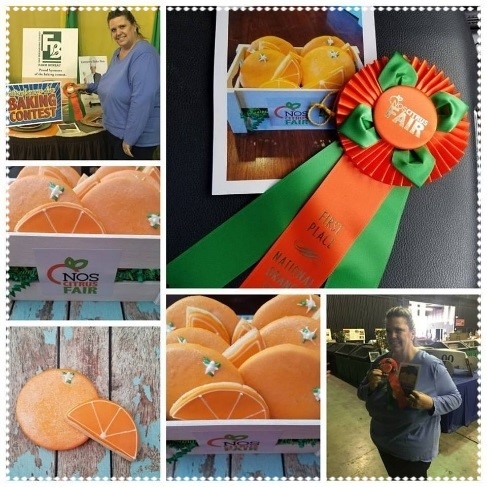 I also placed 1st in our local Orange Show cookie competition. I do offer some custom orders, mostly for friends and family. I post specialty orders for holidays if I am feeling creative and my time allows. When I went to my 2nd CookieCon, I wanted to share one of my other “goodies” and brought my snickerdoodle truffle. It is a super easy and a best seller of mine. I must admit to you, my sweet friends, I love to have this as an order, as I can whip it up quickly and always have the ingredients on hand. I will close with, follow your heart, do what you love, always give back and make it a SWEET day! Sandy’s Snickerdoodle Truffles. I had one at CookieCon, and they are AMAZING! In a mixing bowl, cream together the butter and sugar; add the cinnamon. Stir in the flour and mix until well incorporated. Add in the milk and creamer and mix well. If it is still too thick, add a bit more creamer – use sparingly until the dough pulls away from the bowl. Use a small scoop to roll into balls, and set on parchment covered cookie sheet and place in freezer. Freeze for about 30 minutes. Melt the chocolate until smooth using whatever method you like. While that is melting mix together the sugar and cinnamon. Take out the truffles and dip each one in chocolate and tap off excess chocolate and place on wax paper – lined cookie sheet. Immediately sprinkle with the cinnamon sugar mix. After they have set, place truffles in Tupperware to store in refrigerator. These will keep for about 4-5 days refrigerated (but they never last that long in my fridge lol). Your attention Please….We have a visitor!